NEW STOCK JUST ARRIVED AND IN EXCELLENT CONDITION THROUGHOUT. 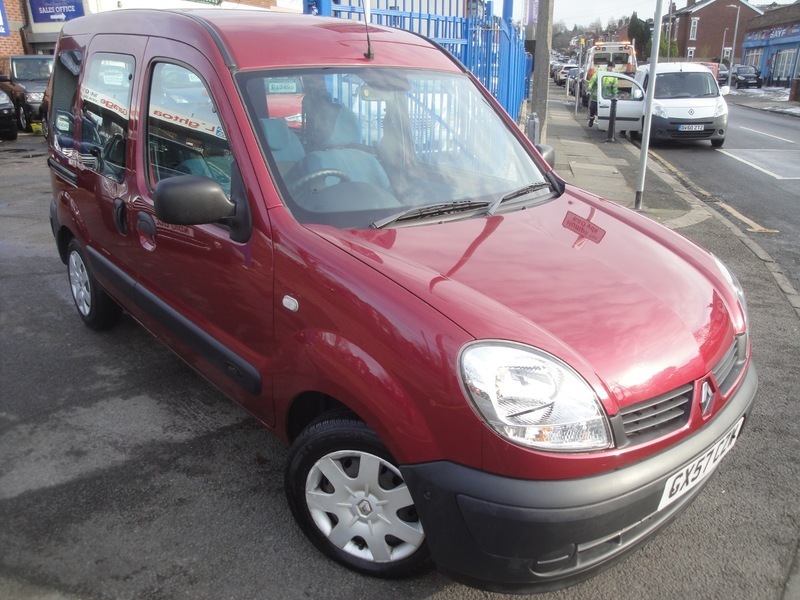 FINISHED IN METALLIC RED PAINTWORK, THIS KANGOO HAS BEEN CONVERTED BY CONSTABLE CONVERSIONS TO FIT 3 ADULTS AND ONE WHEELCHAIR BOUND PASSENGER. THE CONVERSION INCLUDES A GAS STRUTTED REAR RAMP ONTO A LOWERED FLOOR WITH AN ELECTRIC WINCH SITUATED NEATLY UNDER THE DRIVERS CHAIR WITH CONTROL HANDSET AT THE REAR OF THE VEHICLE AND COMES WITH ALL THE NECESSARY STRAPS AND SEAT BELTS TO SECURE BOTH WHEELCHAIR AND PASSENGER. ALSO COMES WITH AIR CONDITIONING, REMOTE CONTROL CENTRAL LOCKING AND CD PLAYER. THE CAR HAS COVERED JUST 20200 MILES IN ITS LIFE AND COMES WITH A VERY GOOD SERVICE HISTORY AND MOT HISTORY ALSO. SERVICED AT 4543, 8848, 11720 AND 19320 MILES.